Voila!! They were a quick finish this morning. Miss Aurora will be thrilled and proud to give these to her teachers. Look closely... Do you see the straight stitching? If you want to do it, just find the right blue thread and stitch parallel lines. 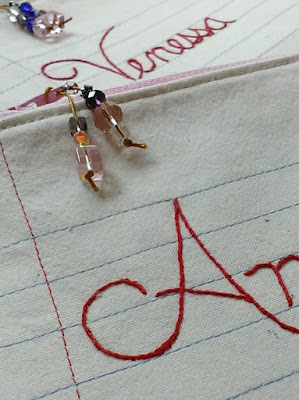 Then add a red straight stitched margin line. I took measurements from a piece of loose leaf paper. Easy peasy. 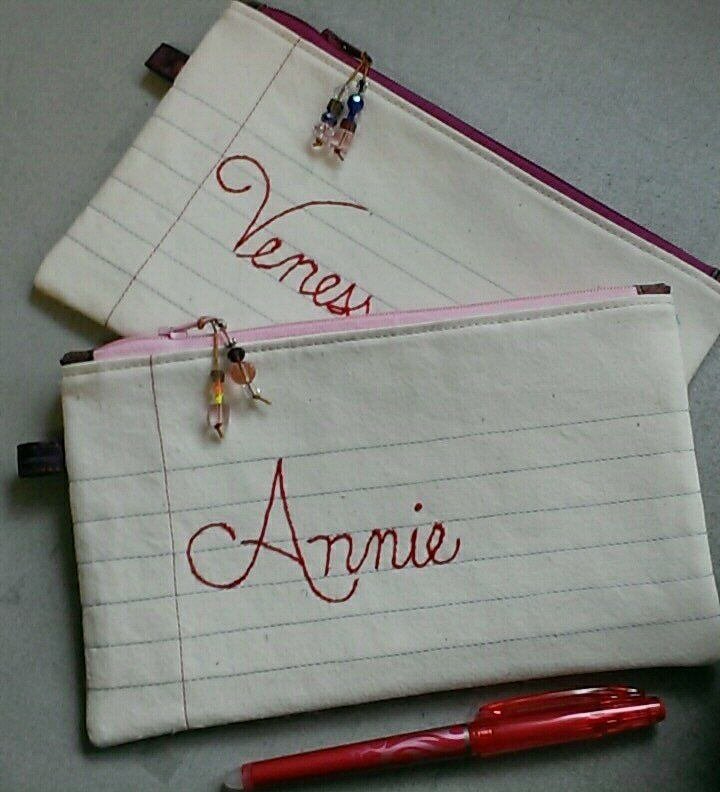 I practiced drawing the name on paper first, then wrote the name on the fabric with a friXion pen. I hand stitched over my markings with red floss. Any marks that showed, disappeared when I gave the pencil case a final ironing. Beautiful! 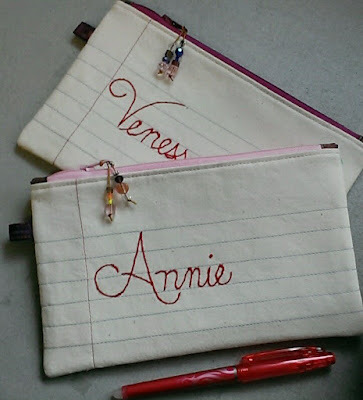 I love your method for "making" lined paper and then your embroidered name on the lines. You do such great work!